The new effort will create a massive pool of funds for promising green tech. After announcing the Mission Innovation program to convince nations to double their clean energy investment budgets, Bill Gates has launched another massive initiative at the United Nations Climate Change conference in Paris. The Breakthrough Energy Coalition is backed by a who's who of tech leaders, including Mark Zuckerberg, Jeff Bezos, Jack Ma and Richard Branson. The idea is to develop new green technology that will increase the world's energy output -- especially in poor countries -- without contributing to global warming. Such tech, however, poses a risk that regular investors might shy away from. 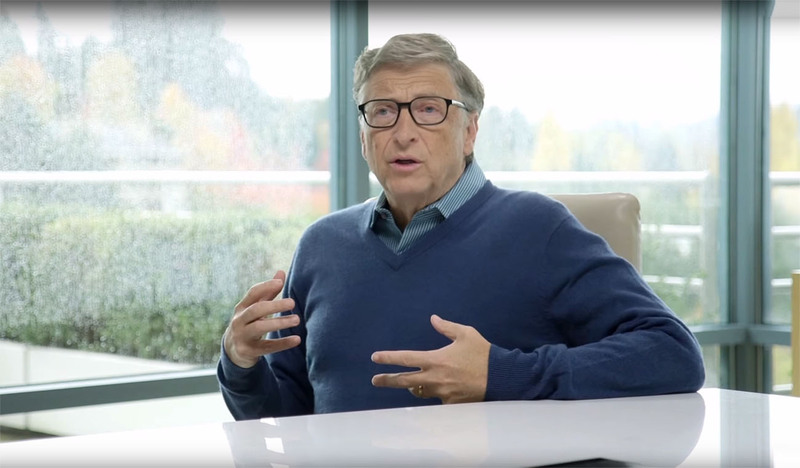 "We need the basic research, but we need to pair that with people who are willing to fund high-risk, breakthrough energy companies," said Gates. The coalition explains that green energy tech doesn't lend itself to the typical Silicon Valley investment pipeline, because of the "nearly impassable Valley of Death between promising concept and viable product." While government funding is an important part of that, Gates and the partners feel that enterprise can play an equal role. "The private sector knows how to build companies, evaluate the potential for success, and take the risks that lead to taking innovative ideas and bringing them to the world," according to the group. As such, the group wants to throw investment money early and often at promising green power technology, and once it's "de-risked," let traditional investors take over. The group also plans to fund a broad array of tech like storage, generation and efficiency, search for novel "outliers," and focus investment dollars on countries that invest the most in the "Mission Innovation" program. So far, those nations have committed as much as $20 billion extra to the program, and given the luminaries involved in the private initiative, enterprise will no doubt significantly augment that sum.